Shaky Knees is officially underway, and the Friday lineup is killing it. Sure, it’s hot and there’s a lot to see, but you tend to forget about the overwhelming nature of music festivals a few bands in. The first thing to notice about Friday is that the music is heavy. I’m talking Baroness, The Sword and Against Me! filling out the afternoon. Savannah-based Baroness always pulls in an impressive crowd, and today was no exception. The heavy-metal group has a massive home fan-base in Georgia. Even Shaky Knees founder Tim Sweetwood is a huge fan. For mid-afternoon bands, it can be hard to get the crowd excited; concert-goers are hot, tired, and conserving energy for the headliners later on. But that wasn’t an issue for Baroness, who easily commanded a horde of about 2,000 fans into headbanging as a collective unit. Frontman John Baizley has a method to his stage presence. 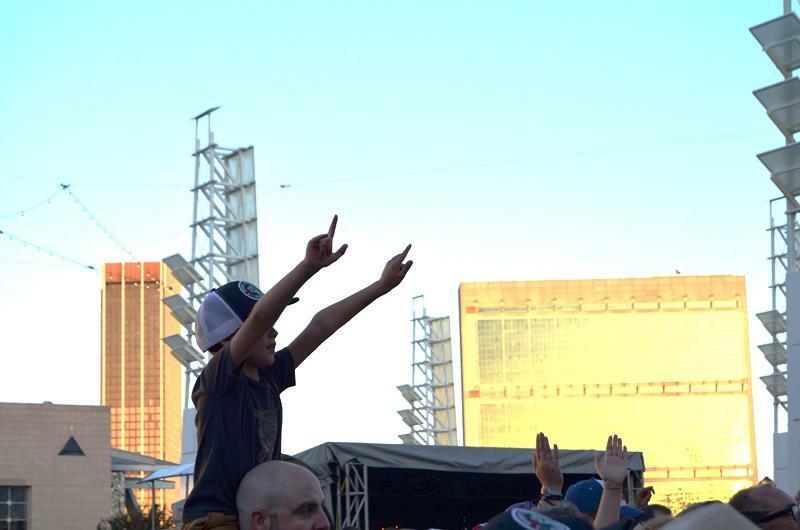 He becomes one with the crowd, grinning and dancing wildly. He doesn’t bother with the aggressive pomp that too many metal groups use to shelter their brassy exterior image. Baizley shouts, but he doesn’t yell. That leaves hope for fans who don’t want to blow out their vocal cords while belting the lyrics. Instrumentally, Baroness is precise and clear, staying clear of overly distorted guitars and maxed out bass levels. Definitely in need of some more recognition, this band was one the underrated highlights of the afternoon. 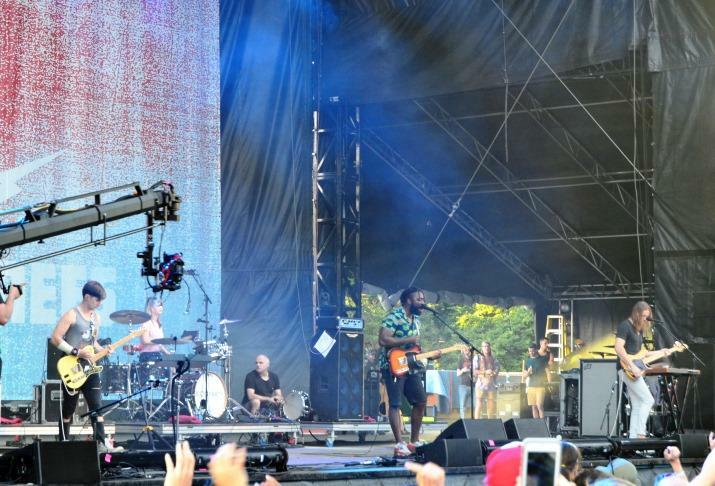 Bloc Party (remember them?) has their own undeniably unique weirdness. They’re very mechanical and very straightforward. Their sound is eerily robotic, sounding akin to the seemingly endless churn of a train on the tracks. But they jam, and they have a good time. They’re the perfect music festival band, since the vibe they produce is singular with the one of the concert-goers basking on the grass with overpriced beer and chili-dogs. We all know The Sword -- that beautifully tight reincarnation of Black Sabbath. Frontman John Cronise employs a sick baritone,inconspicuously borrowed from the cords of Ozzy. This band hails from Austin, Texas, which has an unusually vibrant metal scene. One characteristic of that scene is the almighty “riff.” Guitarist Kyle Shutt is a riff master; he pulls off what could be considered an outdated technique, but with a freshness that transcends the norm. When he plays, everyone in the audience can’t help but grit their teeth and bow their heads. Who else to follow but Against Me! Their punk sound is the only logical balance to the heaviness of The Sword. They’re not quite as refined, but like most punk bands, their energy is explosive. The crowd here is clearly the same as the one for the previous two bands, and they are wiped. But a second wind has taken over the late-afternoon Shaky Knees-goers, and nobody is complaining. Onward…. In the evening, the music got...weirder. 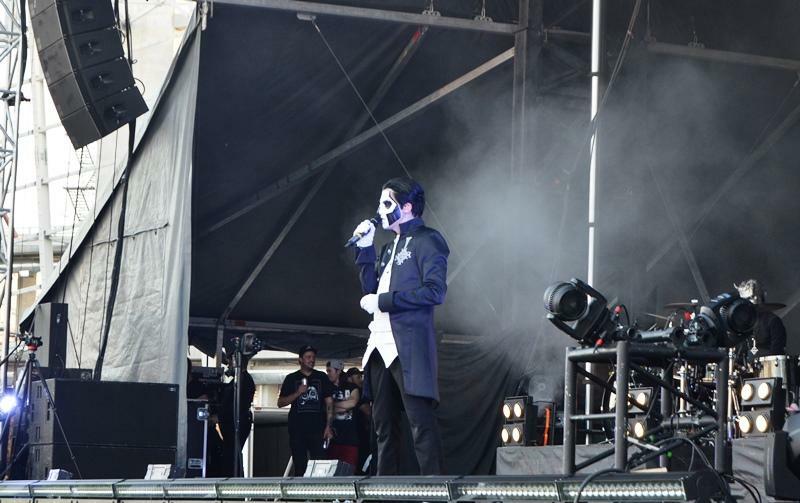 The main band I’m thinking of is Ghost. They sport masks, makeup and cloaks to fill out what seems more like a haunted house crew. The music itself matches their spooky temperament, sticking to long creepy drones and that oh so charming talk singing that can give anyone the willies. 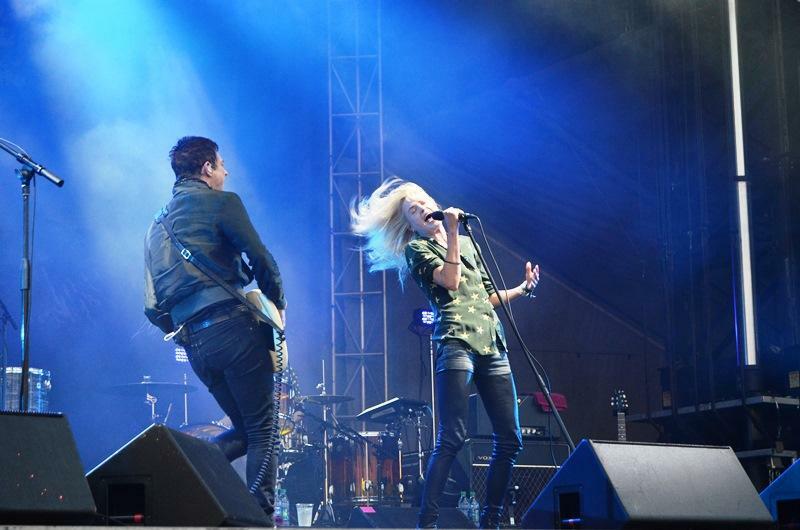 The Kills seem to exist for one purpose: to put a crowd on its’ toes. You won’t find any slow jams or ballads in their repertoire. Everything they do is a high-energy performance, packed with antics and banter. 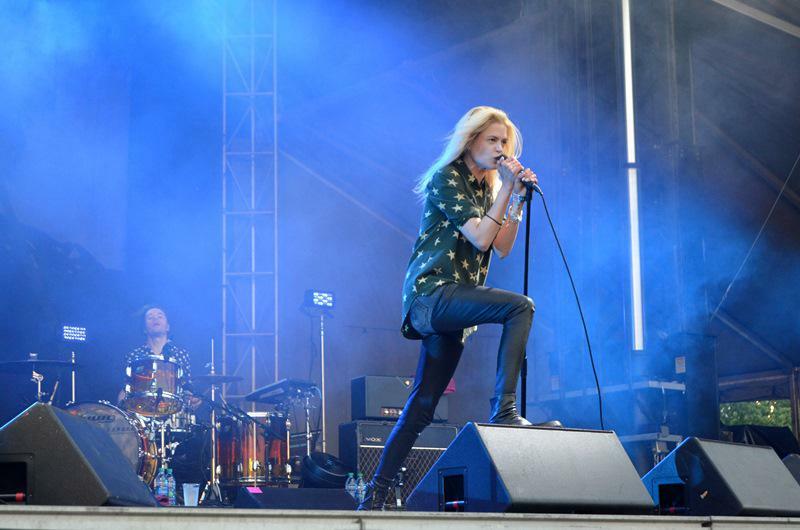 The frontlady, Alison Mosshart, places one leg raised on the PAs while swinging her hair wildly. Maybe they hearken back to an earlier world of stage performance, but it was a refreshing balance to the avant-garde groups from earlier in the evening. Overall, Friday has been a solid day of music. The groups were balanced and well-spaced. Not one band came on a minute late, and there were no crowd management issues to speak of. It looks like there’s still room for more crowd, and I’m anticipating a bigger turn-out on Saturday. I think it’s safe to say Centennial Park is a fantastic spot, which surprisingly makes for an incredibly chill festival. I can confidently say I’ve become a believer in Shaky Knees. 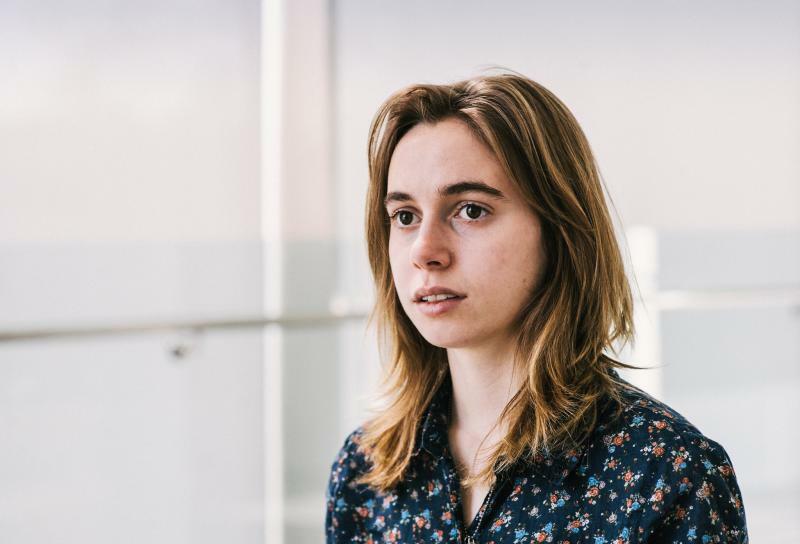 One of the featured performers at this weekend’s Shaky Knees Festival in Atlanta is 20-year-old singer-songwriter Julien Baker. The Tennessee native’s melodies are admittedly melancholy, but Baker says there is joy to be found in her music as well. She talks about the stardom that’s been creeping up on her and how her Southern roots influence her style. 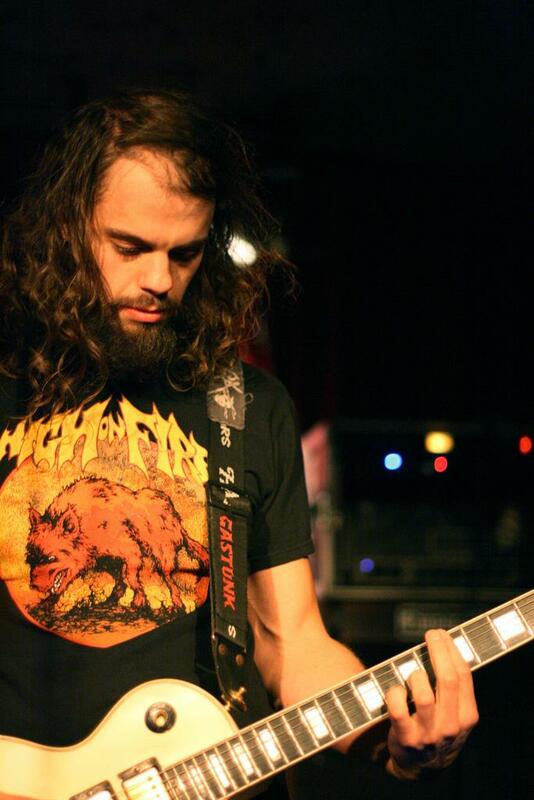 Baroness is a heavy metal band from Savannah. They'll play the Shaky Knees Festival in Atlanta this Friday. Lead singer John Dyer Baizley picks two songs that best represent the Peach State for our essential Georgia Playlist. He chooses tracks from Kylesa and Neutral Milk Hotel.